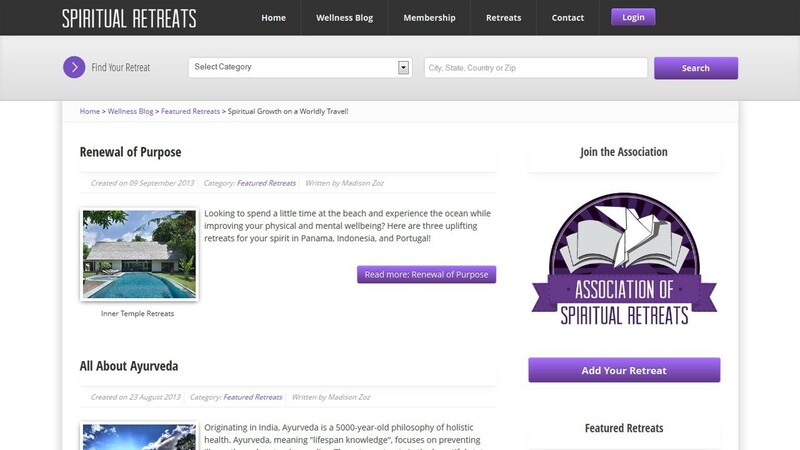 Spiritual Retreats is a migration project completed by our team. The old site was on Joomla 1.5 and we migrated it to Joomla 2.5 without loosing any valuable content. We also migrated from Sobi2 to SobiPro. We built a completely new custom design using OneWeb Framework. 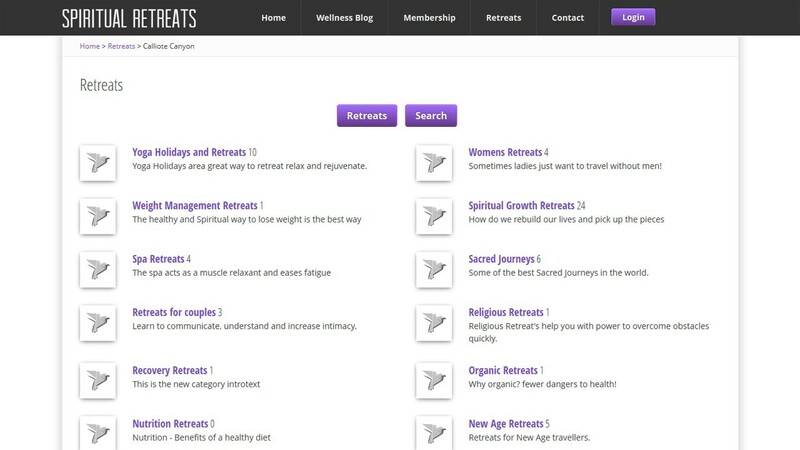 Spiritual Retreats is now fully responsive on all devices. This site required custom Akeebasubs and SobiPro integration for subscription management. We also built a custom SobiPro Search module. 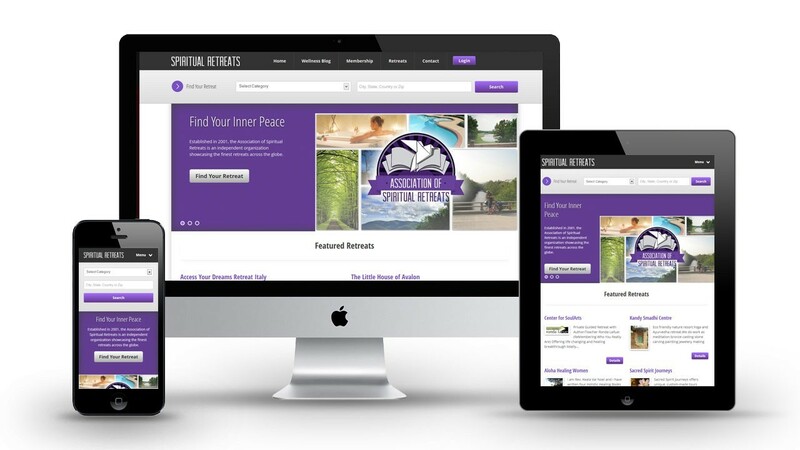 While building the site and after the site launch, we also helped with content writing and marketing for Spiritual Retreats. 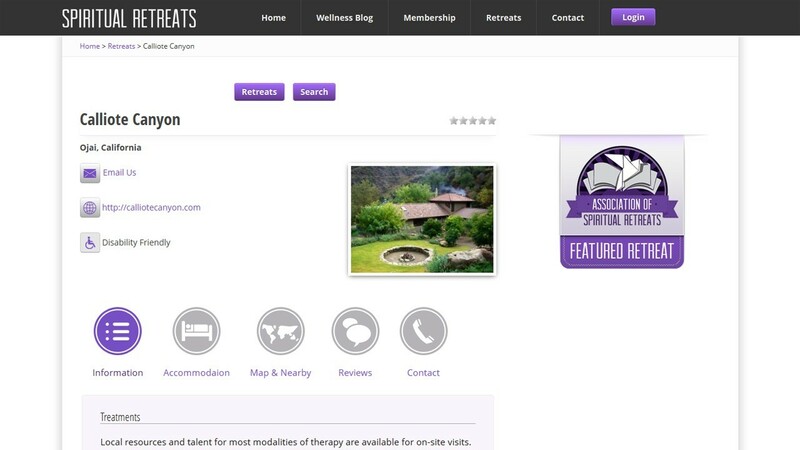 We helped promote the individual retreats in the organization, sent quarterly newsletters via email to members, and wrote wellness blog posts. The Joomla!® name is used under a limited license from Open Source Matters in the United States and other countries. Roberts Web Design is not affiliated with or endorsed by Open Source Matters or the Joomla! Project.